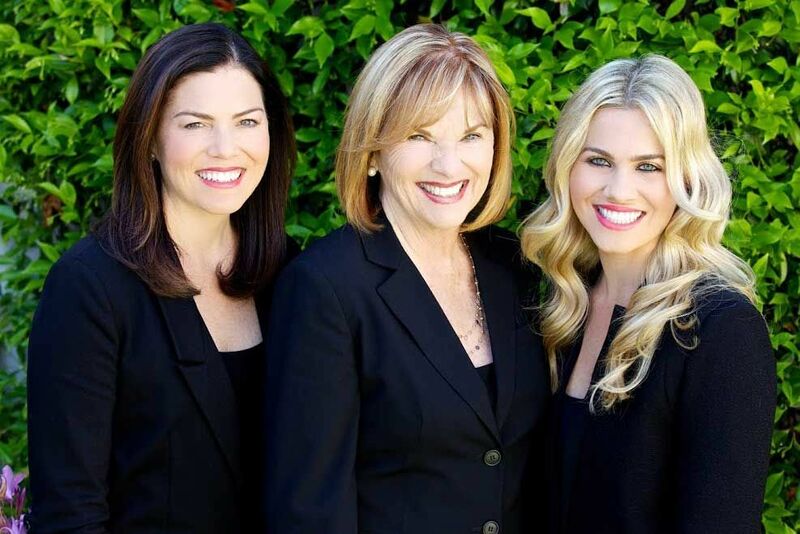 The value of Coronado Real Estate was recognized long ago when Elisha Babcock and H.L. Story bought the entire island in 1885. They subdivided Coronado into lots and sold the resultant real estate parcels to investors and people who even then wanted to make the island their home. From the proceeds of their Coronado real estate venture, the two transplanted Midwesterners built the fabulous the Hotel Del Coronado which opened in 1888. Their vision was a resort hotel that would be “the talk of the western world,” and achieve their vision they did. Back then, it took someone from the east coast a full seven days to reach Coronado by train. Although subdivided, there was much open land on the island. Hunting and fishing were the things, and the cook at the Hotel Del Coronado was happy to cook the rabbits, quail, and fish caught by the guests each day. Some 14 Presidents have spent time at the Del. It was the background for Marilyn Monroe’s movie, Some Like it Hot and royalty has been known to stay there too. With its glorious beaches, great restaurants, and wonderful spa, it’s a favorite of many today and acts as a focal point for all of Coronado Island. ​​​​​​​The groundwork for the military was laid when flying pioneer Glenn Curtis opened an aviation camp at the north end of Coronado Island in 1911. The site was sold to the Navy during World War I and in 1927 Charles Lindbergh took off from there on the first leg of his historic flight to Paris. Now, North Island is home to the famed Navy Seals, several aircraft carriers, and the Naval Air Station North Island. Today, Coronado, a 7.4 square mile barrier island connected to the city of San Diego by a sweeping bridge, to Imperial Beach by a thin strip of land to the south, is also known as the Crown City. In fact, the name, Coronado, means “the crowned one” in Spanish. And small wonder, for indeed Coronado Island is a jewel. On one side are pristine beaches with white sand and the rolling waves of the Pacific Ocean. On the other is San Diego Bay, known for both recreational boating and the Navy. Wonderful real estate opportunities present themselves in between. 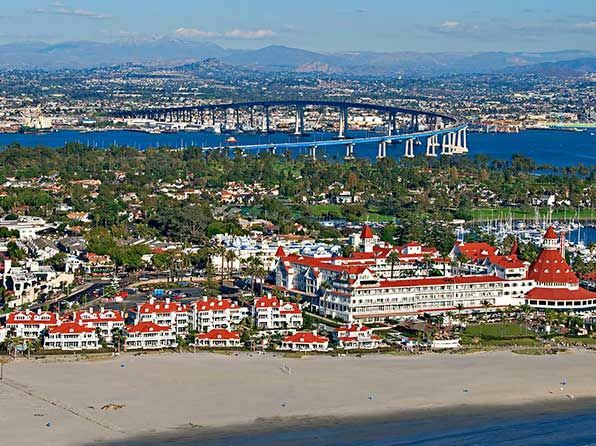 With easy access by air and a short drive over the bridge to and from San Diego, Coronado Island real estate offers an ideal way to have a home away from it all without giving up any convenience at all. The community of Coronado is complete. Not only are their charming shops offering everything from fine art to beach wear, there is everything you need for life from groceries to dry cleaning. The island has some of the most delightful architecture California has to offer. Coronado real estate is an outstanding value. Homes range from seaside mansions designed by famous architects of the 20s and 30s, through modern and elegant condos, to charming cottages tucked away on private streets. There are also wonderful homes with dock access to the bay. Excellent schools, a good library, ample parks in addition to the beaches, outstanding theater and art facilities make Coronado a jewel indeed for families and singles alike. Anchored by the famous Hotel Del Coronado and the Naval Air Station North Island, the City of Coronado is truly the best of all possible worlds. As a real estate investment, property on Coronado Island is an outstanding choice.